Background : Acute gastroenteritis is a common cause of dehydration and precise estimation of dehydration is a vital matter for clinical decisions. We try to find how much clinically diagnosed scales are compatible with laboratory tests measures. Materials and Methods : During 2 years 95 infants and children aged between 2 and 108 months entered to emergency room with acute gastroenteritis. They were categorized as mild, moderate and severe dehydration, their recorded laboratory tests include blood urea nitrogen (BUN), creatinine, venous blood gases values were expressed by means ±95% of confidence interval and compared by mann-whitney test in each groups with SPSS 16, sensitivity, specificity and likelihood ratio measured for defined cut off values in severe dehydration group, P value less than 0.05 was significant. Result : Severe dehydration includes 3% of all hospitalization due to dehydration. Laboratory tests cannot differentiate mild to moderate dehydration definietly but this difference is significant between severe to mild and severe to moderate dehydration. Conclusion : R outine laboratory test are not generally helpful for dehydration severity estimation but they can be discriminate severe from mild or moderate dehydration exclusively. Creatinine higher than 0.9 mg/dl and Base deficit beyond-16 are specific (90%) for severe dehydration estimation in infant and children. Objective: The childhood pyogenic brain abscess is an important brain infection. This condition is uncommon and interesting. Materials and Methods: Here, the author performed a retrospective review of Thai reports on childhood pyogenic brain abscess. Results: The literature review and summarization on the previously reported 235 cases of childhood pyogenic brain abscesses was done. 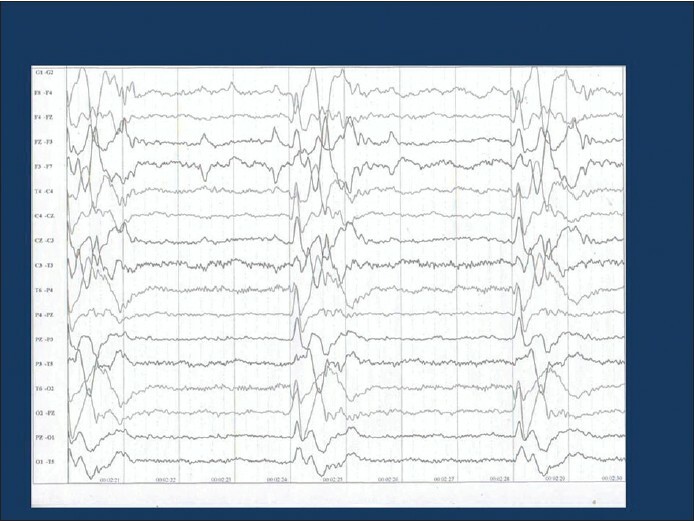 Conclusion: Fever, headache, vomiting, alteration of consciousness, and focal neurologic deficit are common. Several kinds of pathogen (Streptococci, Proteus, and Staphylococcus aureus) are detected. Background: Geriatric population is vulnerable to domestic accidents. Safety-related provisions/behavior in domestic environment can reduce the risk of accidents. Aim and Objective: To know the safety practices followed at home by people above 60 years age and to assess few epidemiological factors associated with their risk of domestic accident. Study Design: A community-based cross-sectional study. Materials and Methods: Using Lot Quality Technique, 135 elderly (out of 196; at 7% desired level of accuracy, 95% desired confidence level), willing to participate, were interviewed for their practices towards accident prevention. Observations were made regarding safety provisions within homes. The data was recorded in predesigned, pre-tested, semi-structured proformas, based on Home Safety Checklist Tool. Statistical Analysis Used: SPSS package version 17. Fisher's Exact test applied for statistical significance of factors related to accident risk in domestic environment. Results: Elderly from joint families significantly keep passage of bedroom to bathroom free from obstacles, telephone cords away from walking area and use stool to reach high cupboard (P < 0.0005). In nuclear families, stairway was kept adequately lighted (P < 0.05). Literate elderly put away things back to its place after using, walk in room without obstacles, keep soap reachable during bath, keep stairways in good condition, use doormats to wipe feet (P < 0.05). Habit of not cleaning up spills (85.2%), walking on wet floor (60.7%), and no grab bars in bathrooms (53.3%) were observed. Conclusion: Provision and use of home safety measures/practices with needful awareness and attitude are important to prevent domestic accidents amongst elderly. Background: The major part of demand for blood in India is met through voluntary blood donations. Students consists a large and healthy group who are able to provide a large number of blood donation. However, there is a paucity of studies on knowledge and attitude among undergraduate students from medical and paramedical branches. Objectives: A present study was conducted to assess the knowledge and attitude about blood donation among undergraduate medical science university students. Materials and Methods: A cross-sectional study was conducted among 400 final year undergraduate students from medical, dental, nursing, and physiotherapy disciplines in a Pravara institute of Medical Sciences University campus of central India during the period of May- August 2011. Data was analyzed in the form of percentage and proportions and Chi-square test. Results: The overall knowledge on blood donation was good; however, majority (52.5%) of students never donated blood. Knowledge level was found highest among medical students (53.1%) and lowest among physiotherapy students (20.7%). Non-consideration, forgetfulness, and lack of time were the major reasons for not donating blood. A significant association was observed between different streams of students and levels of knowledge and attitude about blood donation. Conclusion: This study elicits the importance of adopting effective measures in our campus to motivate about voluntary blood donation among students. Background: Antituberculosis drug-induced hepatotoxicity (anti-TB-DIH) is a worldwide serious medical problem among TB patients. Oxidative stress has also been proposed as one of the possible mechanisms involved in anti-TB-DIH. Aims: The main aim of this study was to evaluate the risk factors for anti-TB-DIH and further, to investigate the possible association of anti-TB-DIH with oxidative stress. Materials and Methods: This prospective cohort study was conducted in 244 TB patients receiving anti-TB treatment. Liver function (ALT, AST, Bilirubin) and oxidative stress parameters (Malondialdehyde, Glutathione, Superoxide dismutase) were estimated before and during the treatment period, along with clinical observation. Results: 14.3% patients developed Anti-TB-DIH. Patients with female gender, low body mass index, extra-pulmonary TB and positive HIV were significant risk factors for anti-TB-DIH. During the treatment period, patients with DIH showed a significant (P<0.0001) higher level of malondialdehyde, superoxide dismutase and a significant (P<0.0001) lower level of glutathione as compared to patients without DIH. Conclusion: In summary, we found that TB patients with female gender, low body mass index, extrapulmonary and positive HIV were at higher risk for anti-TB-DIH. Our finding further conclude that higher level of MDA with altered level of antioxidants in patients with DIH, may be due to oxidative stress-resulting from anti-TB drugs. Objective: To study the knowledge, accessibility and utilization of the existing Medical rehabilitation services by the PWD (Persons with Disability) in a rural Goan community and their reasons for inaccessibility. Methods and Materials: Semi structured questionnaire with the interview technique was used. Systematic random sampling of families was done. This cross sectional study lasted from June 05 - Oct 06. Sample sizes of four thousand eight hundred six subjects were chosen from the 5 subcentres of RHTC (Rural Health and Training Centre) Mandur (Rural area in Goa). Results : One ninety PWD were found.77.9% of the disabled or the parent, guardian, family member of the disabled have knowledge, only 44.2% have accessibility, 24.2% utilize the rehabilitative services. In which 49.1% of disabilities are temporary in nature. Cataract is the commonest cause of temporary disability. Mental retardation is the commonest cause of permanent disability. Conclusion : There is a need to make people aware of the rehabilitative measures and distribute the rehabilitative appliances in the community set up at a subsidized rate. A CBR (Community based rehabilitation) worker is a must. People should also be made aware of various social welfare measures. Globally, there has been an increase in the incidence of tuberculosis by 2.2 million from 1997 to 2005 and 95% of this is occurring in developing countries. Tuberculosis of the cervical spine is rare. To present our experience with a case of cervical spine tuberculosis. We present a case report of tuberculosis of the C3/C4 cervical spine associated with retropharyngeal abscess in a 36-year-old Nigerian woman. The disease was also associated with pulmonary tuberculosis. Neck pain, neck stiffness, radicular pain, especially to the left shoulder and wasting of the muscles of the hand, were the main features. Our patient improved on anti-tuberculous therapy and conservative supportive care. 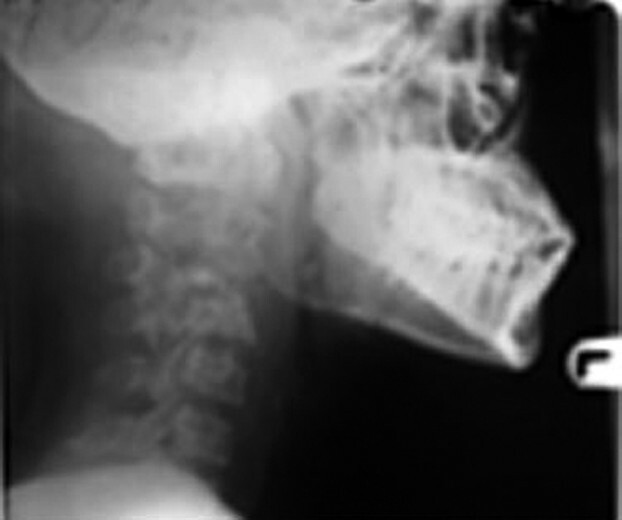 This case stresses the usefulness of simple pain cervical X-radiograph, especially in environments like ours where sophisticated investigations are either not available or beyond the reach of most patients. Conservative management in our patient resulted in remarkable improvement. Three cases of rhinocerebral mucormycosis (RCM) with different courses of illness following a common standardized treatment protocol are discussed. Seen predominantly in diabetics. 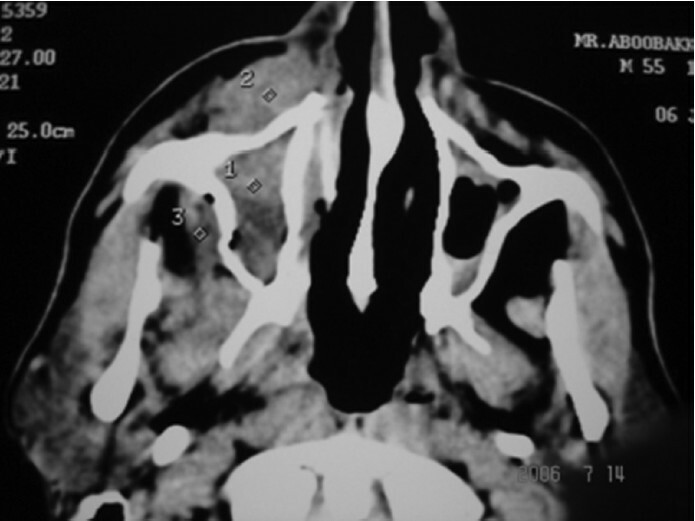 Clinical picture is often blurred by overlapping features of chronic rhinosinusitis. CT picture is helpful in assessing extent. Histopathological evidence is diagnostic. We describe three cases of RCM with different presentations but followed same treatment protocol. RCM is not just a disease of chronic uncontrolled diabetics. Its indolent clinical course doesn't correlate with its aggressive pathology for which strict treatment protocol to be followed. In suspected cases of RCM, improvement of predisposing diseases, radical surgical debridement and effective systemic antifungal therapy must be instituted immediately. Absence of intracranial or orbital extension are indicators of good prognosis. Ketoacidosis is the single most important detrimental factor. Acute viral encephalitis is known to be caused by a wide range of viruses including enteroviruses. Here, we describe two cases of acute encephalitis syndrome (AES) from Japanese encephalitis endemic area diagnosed as enteroviral (EV 76) encephalitis with myocarditis. Intravenous immunoglobulin was given, following which, ejection fraction improved in both of them. Extrauterine pregnancy implies implantation of the product of conception outside the endometrial lining. It is a reproductive health disaster that presents itself in a bewildering variety of anatomical, physiological and clinical expressions as acute, subacute or chronic types. In the literature, there have been sparse reports of extrauterine pregnancy mistaken for intrauterine pregnancy, some of which even progressed to the third trimester; and despite the almost ubiquitous usage of prenatal ultrasound, extrauterine pregnancies may not be detected in a timely manner unless attention to basic clinical features, and high index of suspicion are followed. Anorectal malformation (ARM), one of the most common congenital anomalies, may present with a wide spectrum of defects. Although, female ARM and male children with low ARM may present late, almost all male patients with high ARM present within first few days of life. We present a rare case of a male child with a high ARM with a wide recto-prostatic urethral fistula who presented at one year of age. He had an associated left radial club hand deformity. He underwent 3 staged repair viz. right transverse colostomy, posterior sagittal anorectoplasty and stoma closure. Our patient was wrongly informed to undergo surgical intervention at one year of age by a village doctor. The parents were also ignorant about the pathology. This case highlights the requirement for improvement in not only literacy, but also basic health care, awareness of the general population and the medical fraternity about common congenital anomalies, and an efficient referral system to a tertiary care center, in India. Quadriplegia may be of acute, subacute, or chronic onset and may have varied etiologies. Leptospirosis can produce quadriplegia, secondary to hypokalemia, which occurs due to kaliuresis. Leptospirosis is under diagnosed and under reported in India. The clinical features of leptospirosis are non-specific. Combining clinical expertise and awareness with rapid tests for diagnosis will increase the recognition of patients with leptospirosis and hypokalemia. Renal involvement is common in leptospirosis. In our country, hypokalemic manifestations of leptospirosis are under reported. We report a case of quadriplegia due to hypokalemia, secondary to leptospirosis. Subacute sclerosing panencephalitis (SSPE) is a rare lethal neurological disorder caused by persistent mutant measles virus (MV) in central nervous system. Usually affected individuals have a positive history of measles infection in infancy phase. The disease is characterized by progressive cognitive decline, deterioration in motor functions, repeated myoclonus finally leading to vegetative state and death. Commonly, SSPE patients manifest clinically after 2-10 years of intervening gap from primary measles infection. In last few years, atypical presentations of subacute sclerosing panencephalitis have been reported, many patients initially presenting with vision loss. Why only some patients developed SSPE after long gap of primary measles infection? Various immunological mechanisms have been hypothesized. It has been proven that subacute sclerosing panencephalitis patients failed to form adequate antibodies to measles virus M (matrix) protein despite an appropriate response to other viral proteins. 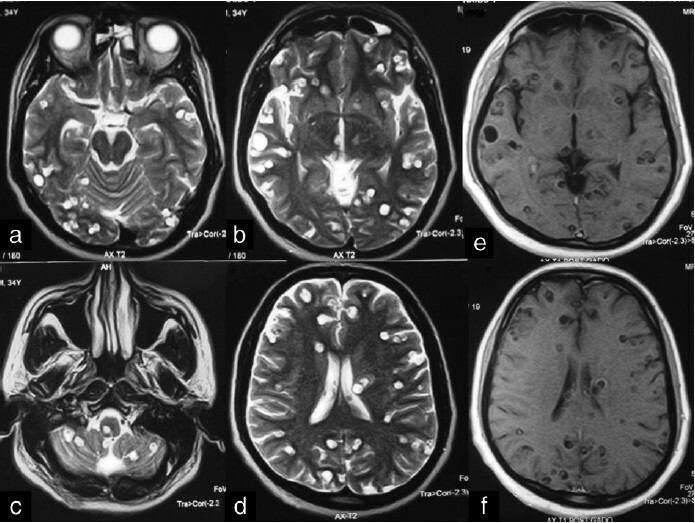 In this case report, we hypothesized that viral co-infections could lead to immune abnormalities and immunosuppression resulting into acute fulminant subacute sclerosing panencephalitis. We presented two patients of subacute sclerosing panencephalitis, one patient preceded by dengue virus infection and other by varicella zoster infection. Syphilis is a multi systemic infection caused by Treponema pallidum. Ocular manifestations of Syphilis have a myriad of presentations and severity. A 31year old male patient was referred from ophthalmology department as a case of chorioretinitis for screening for syphilis. Patient had diminished vision and redness of right eye for 2 months duration. History of premarital exposure and extramarital contact was present. Ocular examination revealed - Rt eye: conjunctival congestion and Argyll Robertson pupil; Lt eye: normal. Fundoscopy of right eye showed yellowish white retinal lesions, macular edema and hyperaemia and left eye was normal .No genital lesion, scars or cutaneous lesion was present.VDRL was reactive in 1 dilution,TPHA was positive ; HIV test was negative ; CSF revealed VDRL - Negative and TPHA -Negative.Patient was treated with Injection procaine penicillin 1.2 Million units intramuscularly daily for 21 days. The patient responded well to treatment and there was improvement in his vision. Ocular Syphilis can occur at any stage of Syphilis and may be the only presenting sign. Syphilis serology was positive confirming the disease.This case highlights the importance of syphilis with ocular manifestation - there by proving that diagnosis of syphilis based on ocular finding is clinically challenging. Amebiasis is a parasitic infection with manifestations, mainly digestives. It is rarely described extra-gastrointestinal locations including the brain. 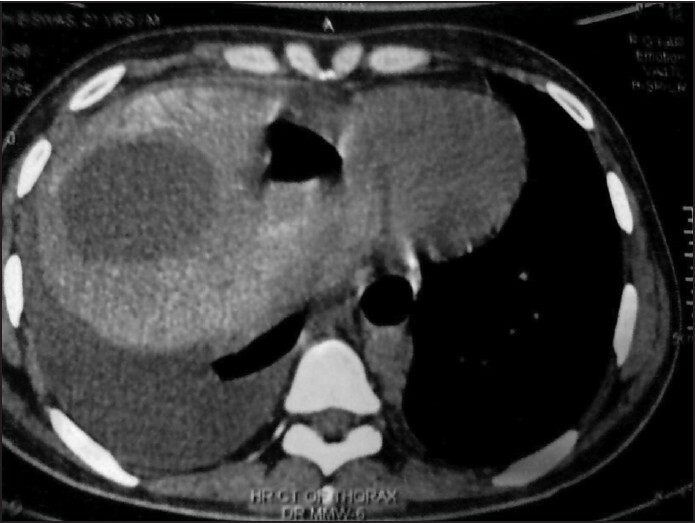 We report the case of a patient aged 42, made five months earlier for an appendectomy, and was admitted to the ICU after a convalescent stable uncomplicated. At admission, he was 12/15 in Glasgow and had a right hemiplegia. Brain CT revealed a discrete diffuse hypodensities perilesional edema. An abdominal ultrasound found an aspect for multiple hepatic abscesses. Abscess puncture was performed, which was not conclusive, and no seed could be identified. On Ultrasound, no cardiac abnormalities were found, and no endocarditis was present. And since the appearance macroscopic (chocolate-brown), amebic serology is performed and has been highly positive. The therapeutic management included an intubation and ventilation as well as a tri-antibiotic-based ceftriaxon, metronidazol and gentamycin. Confirmation of amebiasis required high doses of metronidazol for an extended period. The replay of the play was an appendectomy for an amebome. Evolution was favorable. Amebiasis can have extraintestinal locations, issues to think about including the cerebral forms. There is paucity of data on the invasive group A Streptococcal disease in children, especially from the developing countries. As an infection in children could take a life-threatening course, an early diagnosis and prompt treatment can go a long way in achieving positive therapeutic outcome. In the present study, 3 infants were detected to have bacteremia due to group A Streptococcus as per their positive blood cultures. There is need to create an awareness among clinicians regarding prevalence of GAS infections. The increasing isolation of organisms in this era of anti-microbial drug resistance necessitates regular epidemiological monitoring of invasive GAS infections in developing countries also. A 15 years old boy was admitted with history of suicidal pyrethroid compound 'cypermethrin' consumption. Subacute evolution of central nervous system manifestations and radiologically documented subcortical demyelination were observed. Gradual and partial recovery could be achieved with conservative treatment over few weeks. Although generally considered safe pyrethrin compounds can occasionally result in devastating neurological consequence as observed in this case. A hepatobronchial fistula is an anatomic communication between the liver parenchyma and the bronchial tree. Major causes of such fistulae include inflammatory conditions resulting from an obstruction of the biliary tract and infectious processes, such as pyogenic liver abscesses, amebiasis, and hydatid cysts. We report a rare case of a patient (with a chronic, recurrent hepatic abscess), who suffered a persistent, productive cough with green colored sputum resulting from a hepatobronchial fistula. Herpes zoster (HZ) or 'shingles' results from reactivation of the varicella-zoster virus (VZV). Developmental anomalies, osteonecrosis of jaw bones, and facial scarring are the other complications associated with it. Primary VZV infections in sero-negative individuals are known as varicella or chicken pox. Secondary or reactivated disease is known as shingles or herpes zoster. Early diagnosis and prompt treatment of the disease in the prodromal phase by the use of antiviral agents should be the mainstay of its management. 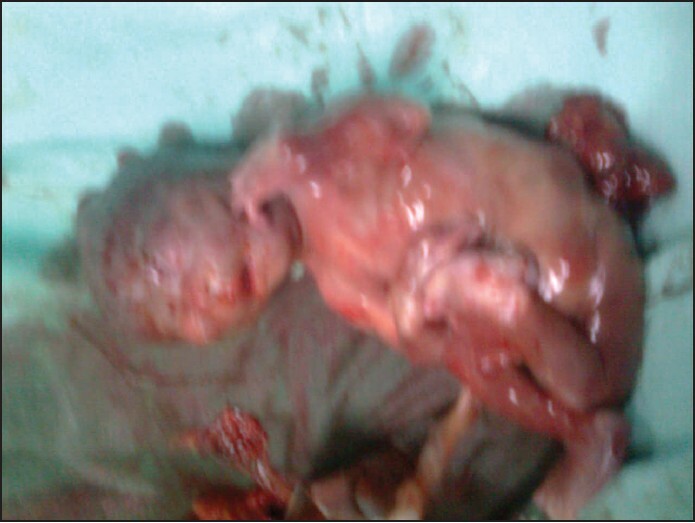 This paper presents a case report of such an infection and its management.